Water is essential. All crops require water and many of the crops in Mississippi depend on irrigation. A little more than half of Mississippi farmland and nearly all of the row-crop acreage in the Mississippi Delta is irrigated. Much of that water comes from the Mississippi River Valley Alluvial Aquifer. That aquifer is losing approximately 300,000 acre-feet of water annually and groundwater levels have decreased over six meters in the last decade and a half. That’s why researchers in the Mississippi Agricultural and Forestry Experiment Station and the Department of Agricultural and Biological Engineering are focused on finding smart ways to protect Mississippi’s water resources. 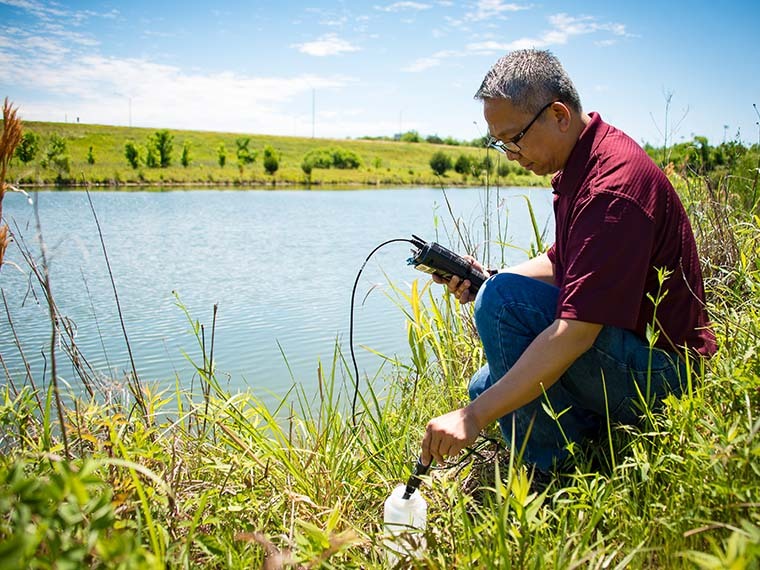 Associate Professor Dr. Joel Paz studies how artificial intelligence (AI) might help predict aquifer levels. He also works alongside Assistant Extension Professor Dr. Mary Love Tagert to evaluate how on-farm water storage can help save water while improving water quality. 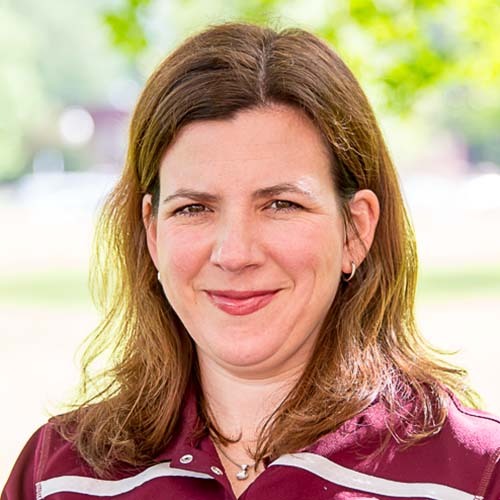 Tagert also partners with Assistant Professor Dr. Anna Linhoss to find a better way for producers to irrigate crops. Protecting one of Mississippi’s most important resources requires a collaborative effort and MSU scientists are doing their part to make a difference in this noble endeavor. When you click a button and add something to your online shopping cart, retailers use machine learning algorithms to evaluate customer information including behavior, activities, and profile data. That single purchase is recognized as part of a larger pattern that artificial intelligence uses to predict what you may buy next. The same technology that helps online retailers suggest future purchases is being used by Mississippi State researchers to predict future aquifer levels. Joel Paz is part of a team that is forecasting daily groundwater levels using artificial intelligence. He directed former doctoral student Sandra Guzman, a recipient of the MAFES Director’s Fellowship Award, in the research. 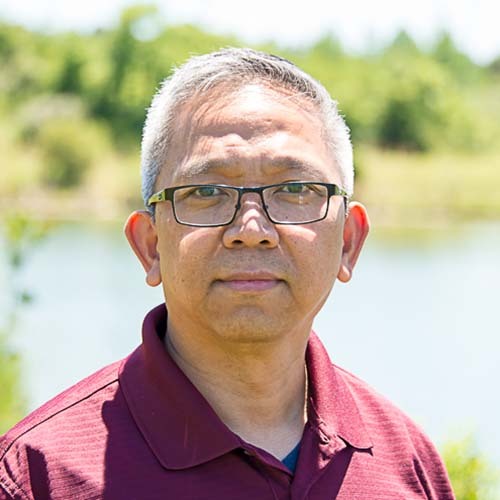 Guzman’s doctoral work focused on finding an effective AI model for predicting groundwater levels in the Mississippi Delta. Using two algorithms, a model was developed to analyze eight years of precipitation and groundwater level data in order to forecast groundwater levels for up to three months in advance. The team predicted aquifer levels 15 to 90 days in advance. They found shorter lead times resulted in more accurate predictions. “For most of the year, we were able to predict aquifer fluctuations within less than a foot when the prediction was made 15 days in advance,” Paz said. Paz said the technology could give agencies and producers real-time estimates that would help them better manage the resource. In the future, Paz would like to add variables such as agricultural management practices and pumping rates into the model, with plans to expand monitoring to a network of individual wells. Mississippi gets between 50 and 60 inches of rainfall annually. Much of that rain falls in the winter months. The water runs off the landscape and into nearby rivers, streams, and tributaries. Paz and Mary Love Tagert are studying on-farm water storage systems to see how these best management practices might help improve groundwater levels in the aquifer while reducing nutrient loads traveling into the Mississippi River and onto the Gulf of Mexico. The team, which included doctoral candidate Juan Pérez-Gutiérrez, began the USDA NIFA-funded research on two producer farms in the Mississippi Delta to determine how on-farm water storage systems could better use surface water and influence nutrient levels. The team monitored the Metcalf and Pitts farms, located in Porter Bayou watershed in an area where groundwater declines in the Mississippi River Valley Alluvial Aquifer have been more pressing. 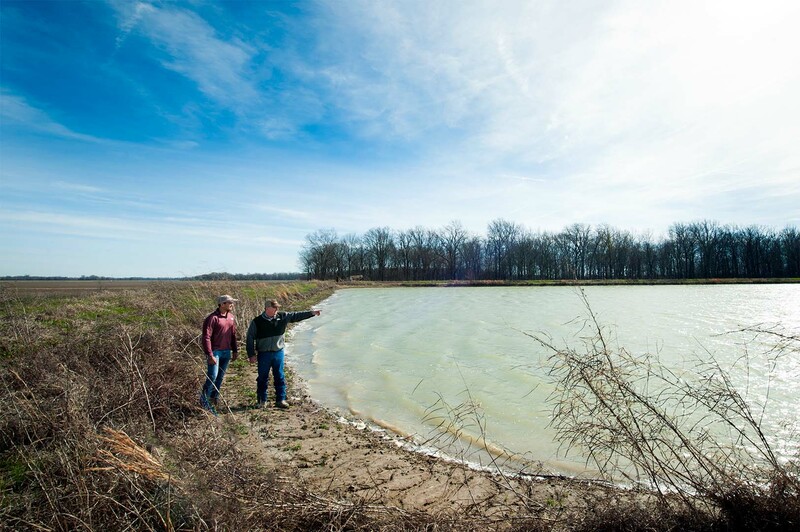 Both farms had installed on-farm water storage systems through funding from the Mississippi River Basin Healthy Watersheds Initiative and other state and federal assistance programs. The MSU team measured levels of residual nitrogen and phosphorus in water storage systems and determined the effects the water storage systems had on downstream nutrient levels. They also sought to inform producers of the benefits of on-farm water storage systems and promote better management of these systems. The scientists found significant seasonal water quality changes among the different monitored locations. That research parlayed into a project in Noxubee County, which was funded by the Mississippi Soybean Promotion Board. Graduate student Ritesh Karki assisted in that research. The site, farmed by Paul Good and Dale Weaver, is located in the Middle Tombigbee-Lubbub watershed. The pond, which is 17 acres across and 25 feet deep, helps water a little over 130 acres of land. The scientists are monitoring runoff and nutrient deposition on about 70 acres. The site uses center pivot irrigation. The pond provided 290 acre-feet of water for irrigation from 2013 to 2016. From September 2014 to March 2016, the pond captured an estimated 46 tons of sediment, 558 kg of total phosphorous, and 220,000 cubic meters of water to use for irrigation. Next steps in the research include finishing up an economic analysis on the total cost savings of on-farm water storage. Tagert said the research is critical in helping quantify the costs and benefits of on-farm water storage for producers and state agencies alike. “Not only does this save water to improve yields for producers, as environmental quality agencies develop numeric nutrient criteria for the state of Mississippi, this research will be a critical piece in showing what kind of nutrient reductions can be achieved with these systems,” Tagert said. One of the most significant ways to save water is to help the state’s producers irrigate more efficiently. The Mississippi Irrigation Scheduling Tool or MIST is a computational model that helps producers improve irrigation efficiency through better timing. Anna Linhoss said making the best management decisions when it comes to irrigation is a critical component to protecting Mississippi’s watersheds. Currently, producers have three options when it comes to irrigation timing: they can dig in the soil and see if it’s wet, use soil moisture sensors placed throughout the field, or follow the lead of their neighbor when irrigating. MIST, a fourth option, is a relatively new tool that gives producers another option to determine irrigation timing. Linhoss serves as co-investigator alongside Tagert, who is principal investigator, advancing the MIST research. The team continues to improve the web-based management tool that incorporates crop water use and irrigation scheduling. Graduate students Hazel Buka and John Caleb Rawson have served on the project as well. Dr. Gretchen Sassenrath, former U.S. Department of Agriculture ARS scientist, initially developed the model in 2012. MIST uses a checkbook balance approach to irrigation scheduling. The model sums the amount of water in the soil profile, adds water from an irrigation event and effective rainfall data available through Next-Generation Radar (NEXRAD), and subtracts water losses from evapotranspiration. When MIST determines water is needed in the profile, an irrigation event is scheduled. Currently, the researchers are calibrating the model with soil moisture sensors and real-world data from cooperating farmers. Tagert said results so far have been good, but there is still work to be done in clay soils. The team is also looking forward to a major upgrade of the user interface, which will be web-based and accessible through any platform. They are currently working on developing common data sets for geographical areas so producers have less information to enter into the model. To till or not to till? Passion At Work: I always focus on environmental stewardship in my role as an MSU scientist. My goal is to help producers increase production while being sustainable. 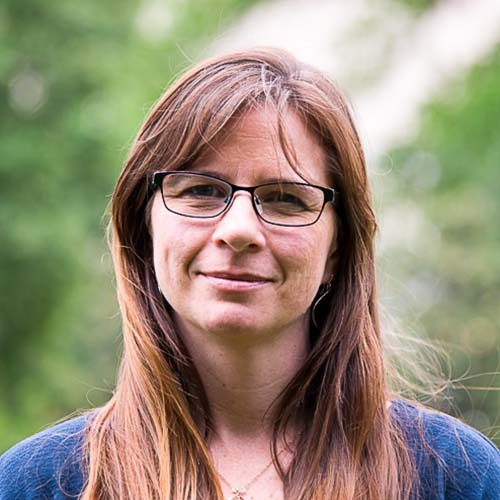 Passion At Work: I am interested in understanding the interactions between water and the environment and how humans impact those interactions. I work toward finding sustainable and resilient management solutions that meet human needs without detrimentally impacting environmental systems. Passion At Work: Our farmers are producing food and fiber for a growing population under increasing constraints and while trying to protect our natural resources, particularly soil and water, for future generations. My passion is to contribute to these goals.